If you thought retreating to space is a smart idea to escape the bugs and microbes, you might be wrong. The ISS crew members discovered microbes which turned out to be antibiotic-resistant bacteria, and they could get sick from it. Members of NASA’s Jet Propulsion Laboratory published a scientific paper in the journal BMC Microbiology. NASA’s JPL laboratory is in charge of studying NASA’s robotic space and Earth science missions, including the Mars Curiosity rover, and other missions. This is not the first time that the scientists have studied the bacteria from the space station. The bacteria were primarily discovered in January, when the same team published their first study in which they were analyzing the genetic samples of bacteria astronauts found on the walls of the ISS in 2015. In the mentioned samples, the team found there are more than 100 genes which make up the antibiotic-resistant bacteria. The genes belong to the special species, Enterobacter bugandensis. The team tested nine different antibiotics and all turned out insufficiently strong to fight off the bacteria. After figuring out it’s hard to fight them, the team conducted the new study to see just how dangerous these genes are to humans. They collected the samples of E. bugandensis on Earth and compared it to the genes of bacteria collected off the surface of the ISS. They found a lot of similarities, including the genes which are connected to them being antimicrobial resistant and virulent – the potential of bacteria causing an infection in humans. Studying it closely, the study showed that there is a 79% chance for the bacteria to cause disease or become pathogenic, meaning the ISS Crew members could get infected with it. According to Gizmodo, Enterobacter bacteria can be commonly found in our gut. Although they are not likely to cause illness, people with weak immune systems are easily prone to becoming infected with the bacteria, which could have life-threatening consequences. Moreover, the studied antibiotic-resistant bacteria is known to cause sepsis, a blood poisoning immune response infection, which can cause death by shutting down all the organs in the body. “Given the multi-drug resistance results for these ISS E. bugandensis genomes and the increased chance of pathogenicity we have identified, these species potentially pose important health considerations for future missions. 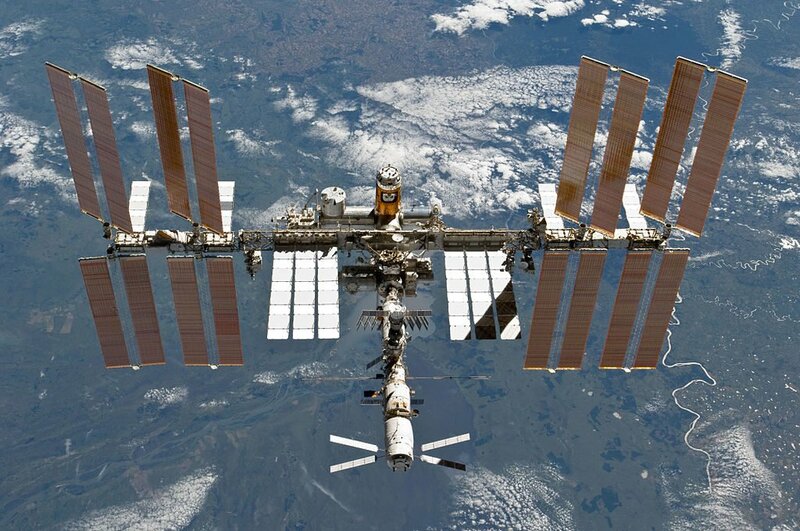 However, it is important to understand that the strains found on the ISS were not virulent, which means they are not an active threat to human health, but something to be monitored,” Dr. Nitin Singh, first author of the publication said in a statement. Scientists will have to conduct further studies to find the limits of the antibiotic-resistant bacteria. Additionally, further research is likely to see experiments conducted directly in space.